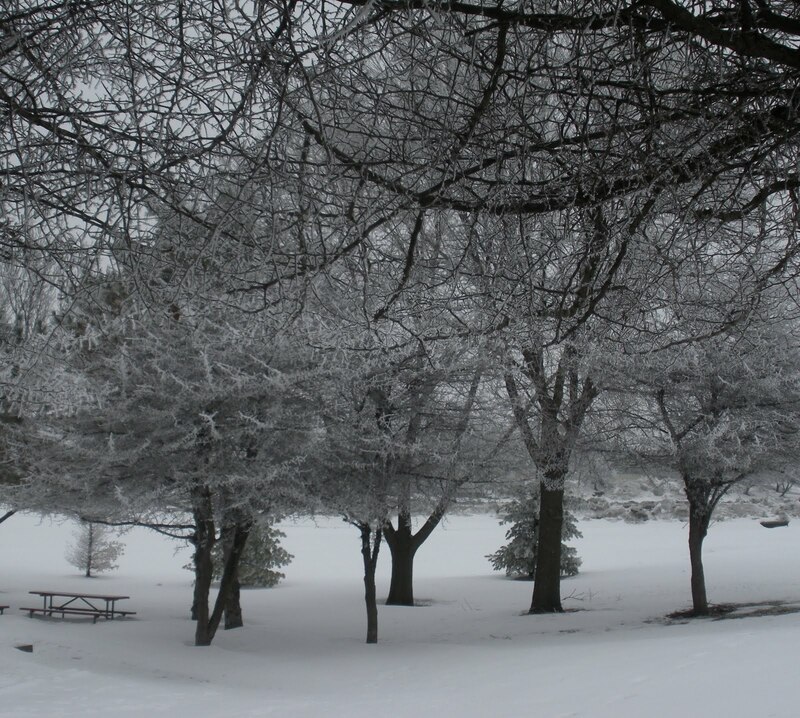 Unfortunately, this is what they look like today, most of Iowa is covered in 1/2 inch or more of ice… It is still beautiful, but many trees don’t survive the weight of the ice, and many people go without power because the ice takes down the utility/power lines. 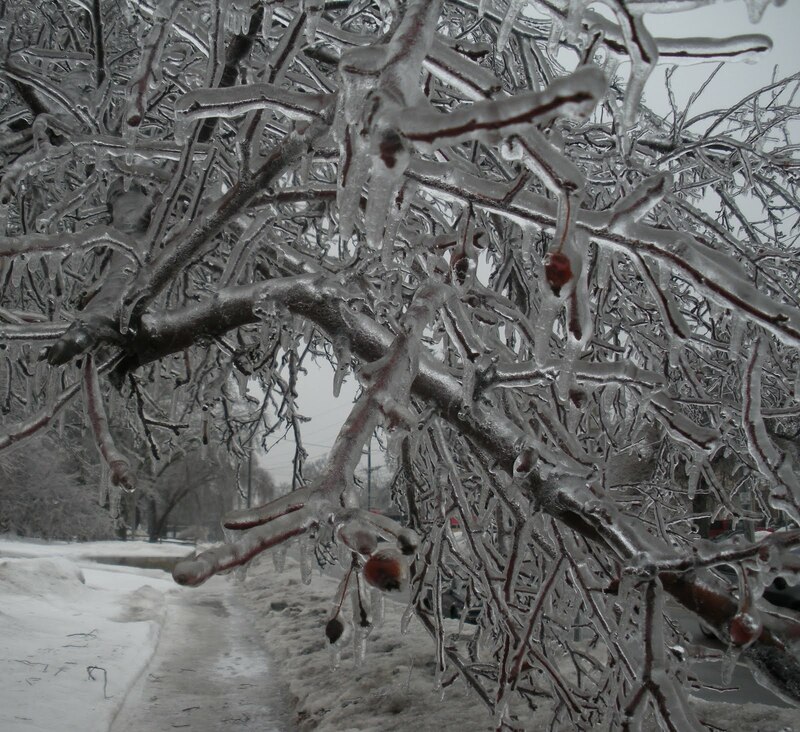 Safety is a major concern following an ice storm, in more ways than one. I am always humbled by the beauty of what Nature can create. May you be safe and warm in your corner of the world, and take a moment to appreciate the beauty of Nature around you. Love the cheery colors of your little birdie after all the gray, and black, and white. wow….great pics! 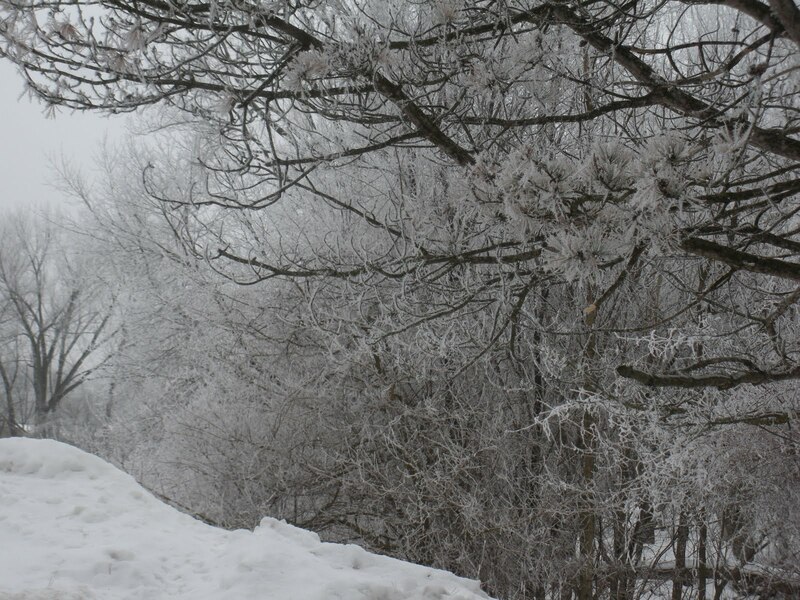 Winter in your part of the world is beatiful…but treacherous! your little spring bird is pretty! Fabulous pictures!!!! I did hear about your incredible ice storm in Des Moines. My cousin lives in West Des Moines. you tease us with the adorable sneak peek… now I can't wait for the full reveal! 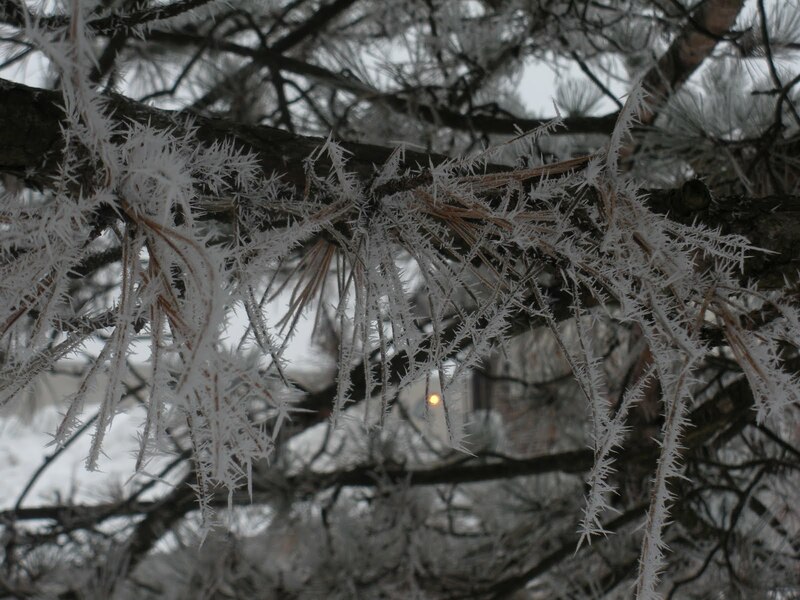 Jack Frost came to see us a couple mornings this week too! Love your photos capturing those tranquil scenes. We lucked out and didn't get that freezing rain and ice, though. And I love your bird project! Can't wait to see more of it! Okay, it's admittedly pretty, but enough already! Let's at least be able to walk outside without worrying about falling and breaking an arm or something. South Carolina doesn't sound so bad! Your applique looks intriguing. Can't wait to see all of it! 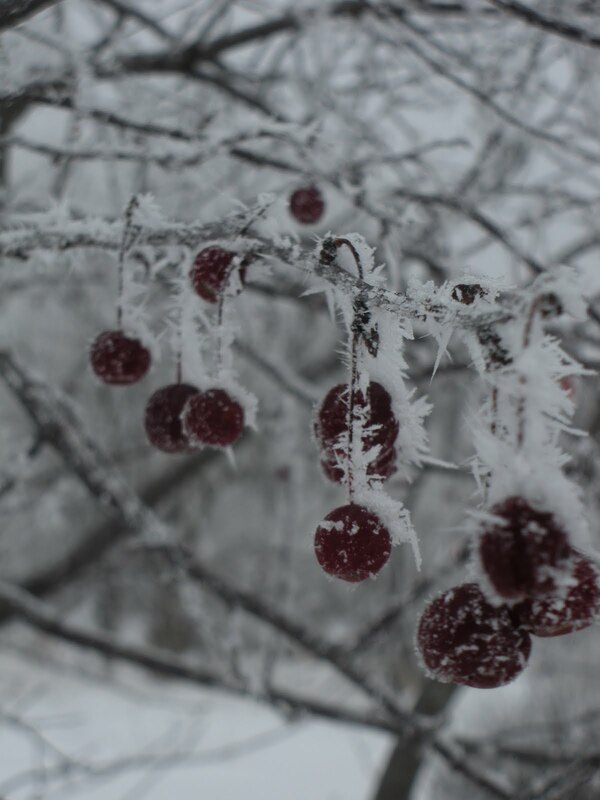 What beautiful photos, love the one with the cherries, a bit of colour amongst the white. I'm loving the look of the last photo. 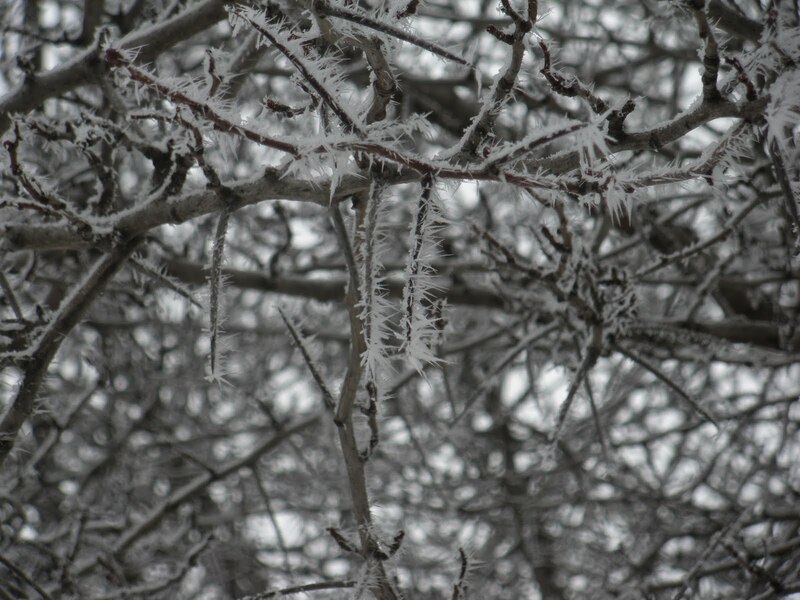 I go out taking ice storm photos every year for the last four years! It can be absolutely magical, like you've been transported to another world, a fake crystal planet, and you're the ice princess! It's nice to see that someone else feels the same way about the beauty that surrounds us. 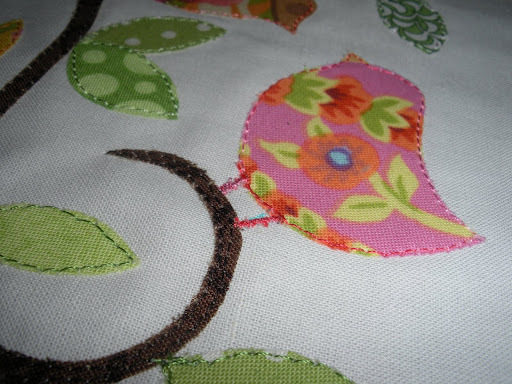 I do love what you're working on…the colours do a wonderful job of inviting spring our way! Gorgeous photos. 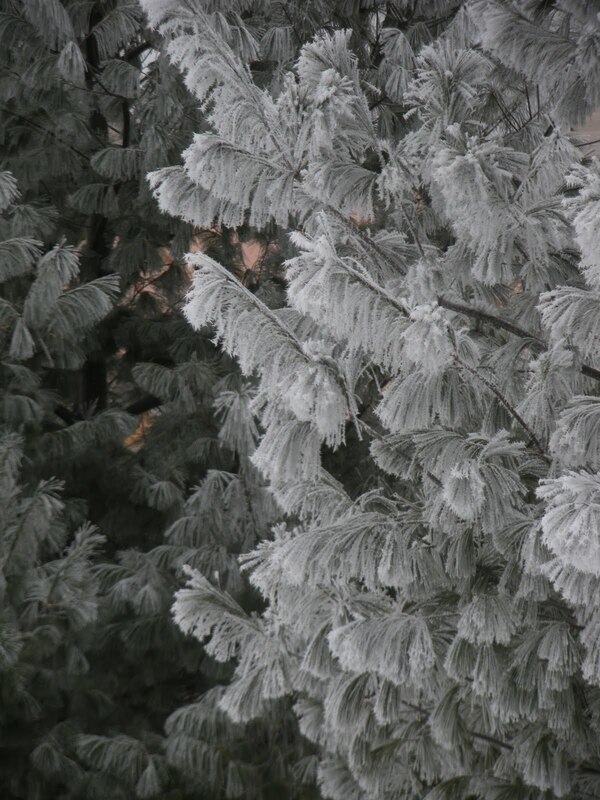 That frost and the ice create some spectacular scenes in nature. As beautiful as your photos are, my thoughts keep moving toward that pretty little bird. I'm wishing for an early spring. We've dealt with enough winter, which started way too early.